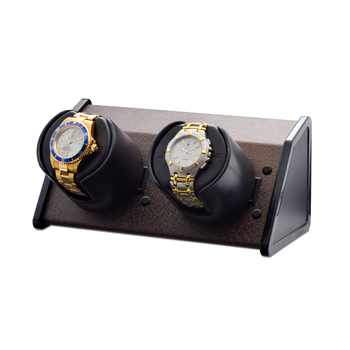 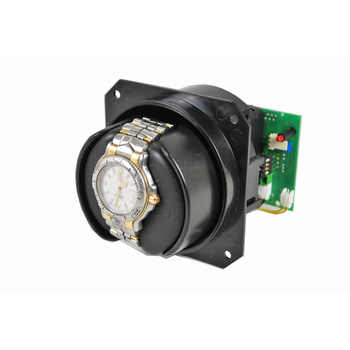 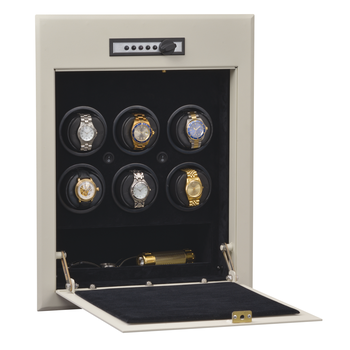 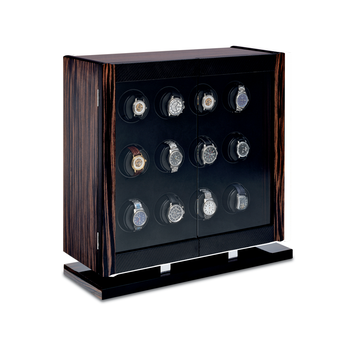 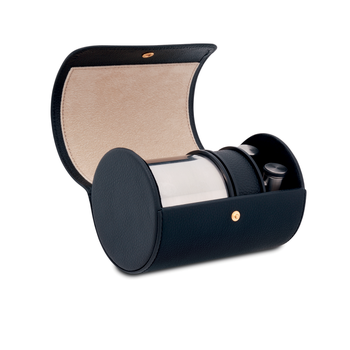 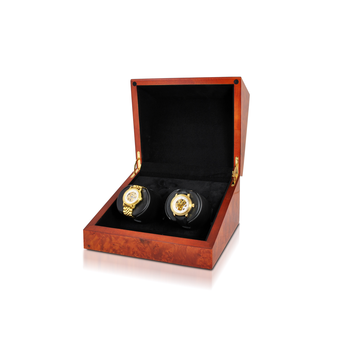 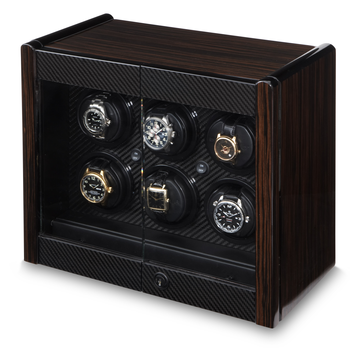 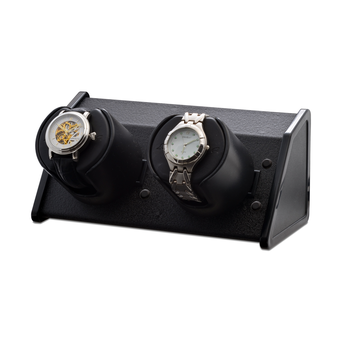 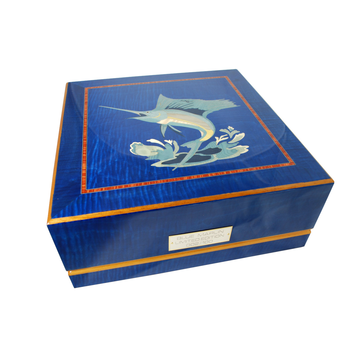 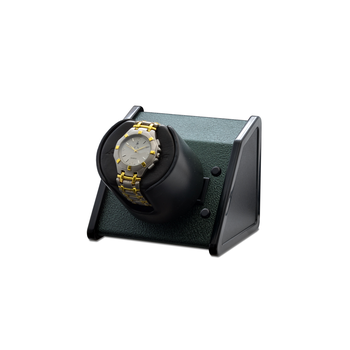 The WallSafe 9 was designed to provide secure, hidden protection for up to nine automatic wristwatches. 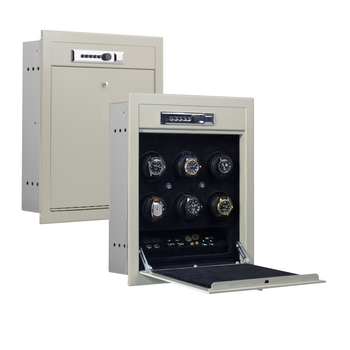 Solid steel construction throughout, with a 3/16” pry-resistant door, the safe offers excellent burglary resistance with a mechanical push button lock. 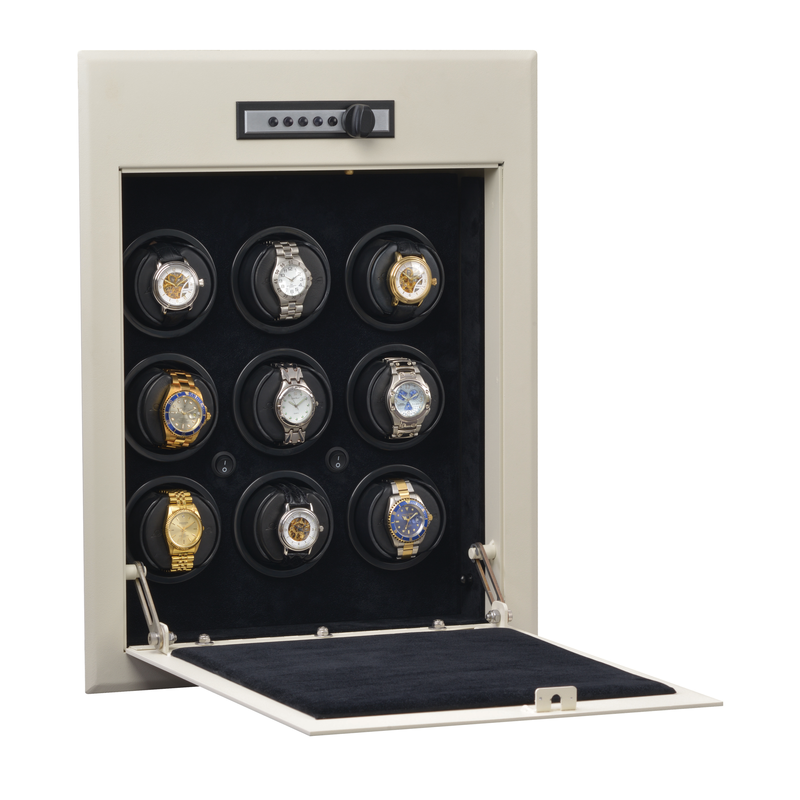 The sturdy fold-down steel door is fitted with a cushioned suede work surface to prevent any metal-to-metal contact. 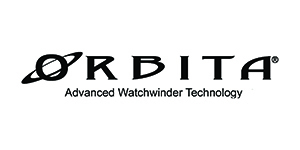 Internally mounted Orbita long-lived lithium D cell batteries provide many years of service with no need for any external power source. 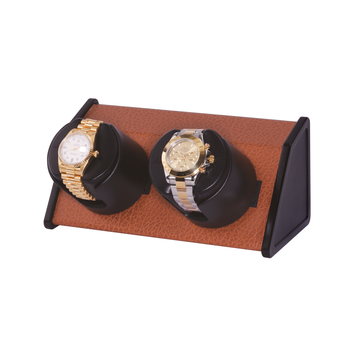 The Sparta 9 WallSafe is designed for quick and easy installation between 16” on center wall studs. 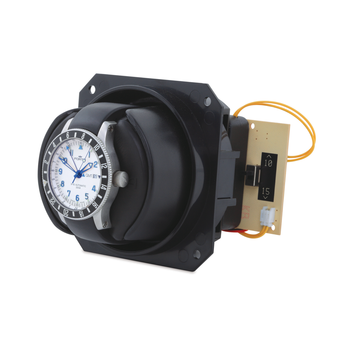 When mounted in walls with studs, trim or filler strips between the wall and the frame flanges may be required to assure an attractive installation.